If you are in search of the most outstanding driving schools in Paisley and throughout the surrounding areas, look no further. For 35 years we have been providing professional and comprehensive driving lessons, and it has always been important to us to send responsible and confident drivers out onto the roads. We offer a comprehensive range of services and we ensure every student is comfortable with their instructor. We are set apart from many other driving schools as we offer both male and female instructors, and we assure everyone that they have every relevant qualification and a wealth of experience behind them. Flexibility is a major part of our service and we are happy to work around your schedule. We will collect you from home, school, work or the location you specify and avoid any disruption to your daily routine. Our instructors understand that your first time behind the wheel can be daunting, but they will always be calm and composed and know how to put you at ease. They will go over every detail and help you familiarise yourself with the controls and safety features before lessons begin. No two student drivers are the same, and everyone develops at their own speed, so your instructor will provide you with the personal support you need. In addition to our instruction, we offer refresher courses to qualified drivers that feel they may benefit from revisiting instruction. 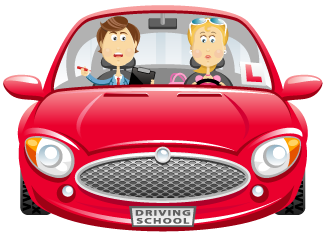 We also provide intensive driving courses for people that wish to complete the process swiftly, along with a Pass Plus course. The aim of this particular course is to reduce insurance premiums for newly qualified drivers. We understand the financial implications involved with learning to drive, which is why we offer low prices to ease the pressure. We offer the first three lessons for just £14.00 and all subsequent single lessons for £22.00. We also offer discounts to people that are without employment or studying. With regard to your theory test, we provide as much support as possible. Your instructor will recommend the best time to take your test and with appropriate advice and learning materials, you can complete the first step to gaining your driving license. Your instructor knows how to fully prepare you for your practical test and you will only be put forward when you are ready. When looking for driving schools in Paisley and the surrounding regions, all learners can depend on our cost-effective and efficient services. Contact us today to book your first lesson at an affordable price.